It's Facebook Fridays! 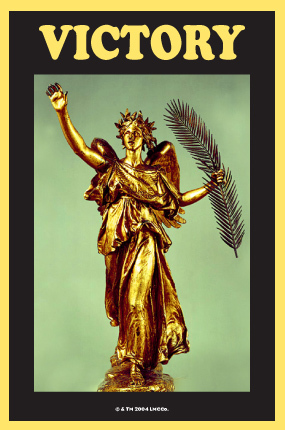 for August 21, 2015, and we want to help you triumph! The Lucky Mojo Curio Company is hosting a random drawing to give away 8 Victory Spiritual Supply prizes that help you win -- in sports, in court, in contests, over your enemies! 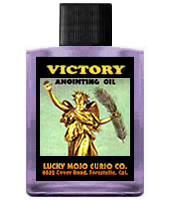 This week, 4 winners will receive a Lucky Mojo brand dressed and blessed Victory Vigil Candle, and 4 more will receive bottles of hand-made Victory Anointing Oil. First thing tomorrow morning, we will select EIGHT winners at random, announce their names here, and ask them to message this Facebook Page with their mailing addresses, so we can send them their FREE Victory products. We have a winner! In fact, we have 8 lucky winners! Our Facebook Fridays! winners for August 21, 2015 are: Lauren Liotta, Jonathan Pearson, Angie Morrill, Melanie Gonzales, Annmarie Setti,Pamela Geier, Marc Oliveira, Nesa Figueroa.